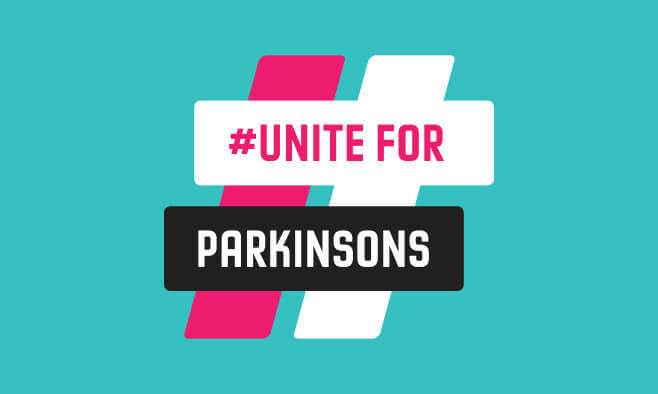 The global Parkinson’s community is coming together on a bigger scale than ever for this year’s #UniteForParkinsons campaign to show what Parkinson’s truly is. 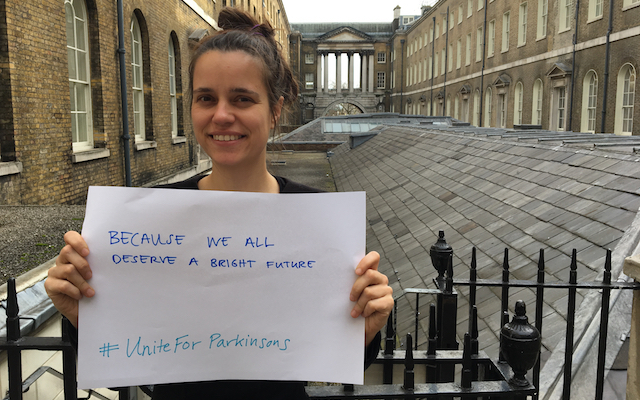 Here, people with Parkinson’s – including campaigners, bloggers, inventors and musicians – tell us why they “#UniteForParkinsons”. 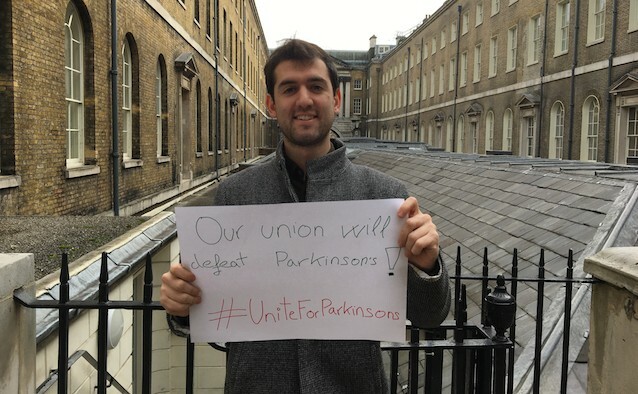 Ander Arnaez’s granddad’s experience with Parkinson’s inspired him to work with the Parkinson’s innovation company Walk With Path – he has since become strategy, business development and marketing manager. 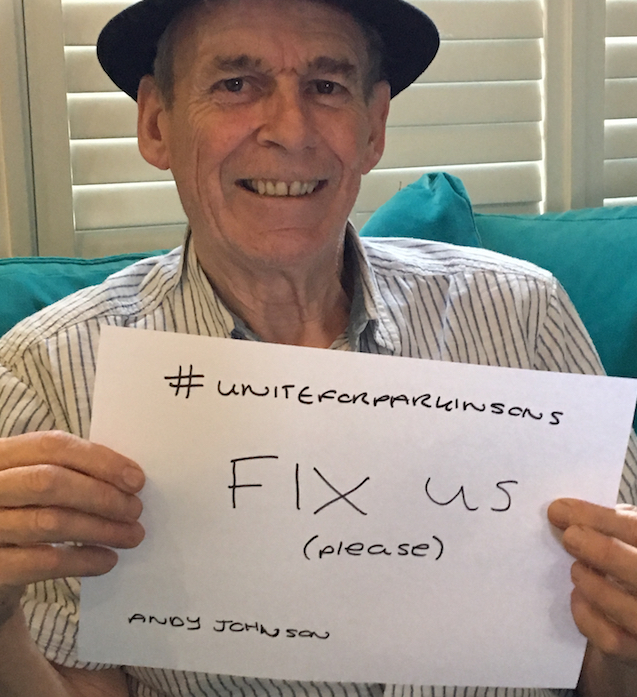 Like thousands of others around the world, he believes in the power of unity: “Our union will defeat Parkinson’s”. 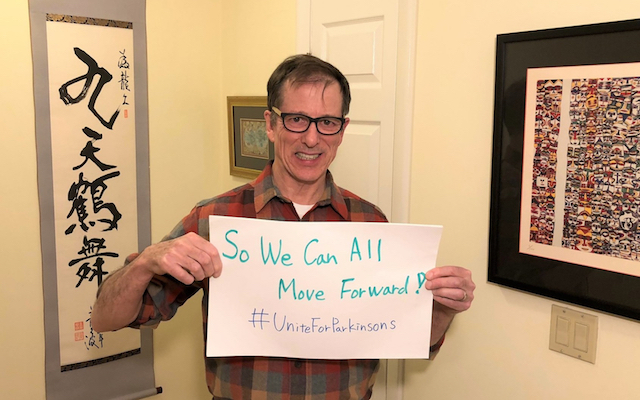 Allison Smith is one of the Word Parkinson Congress 2019 bloggers. She lives in California, US and as the ‘Perky Parkie’ she shares her Parkinson’s journey with sprinkles of humour. 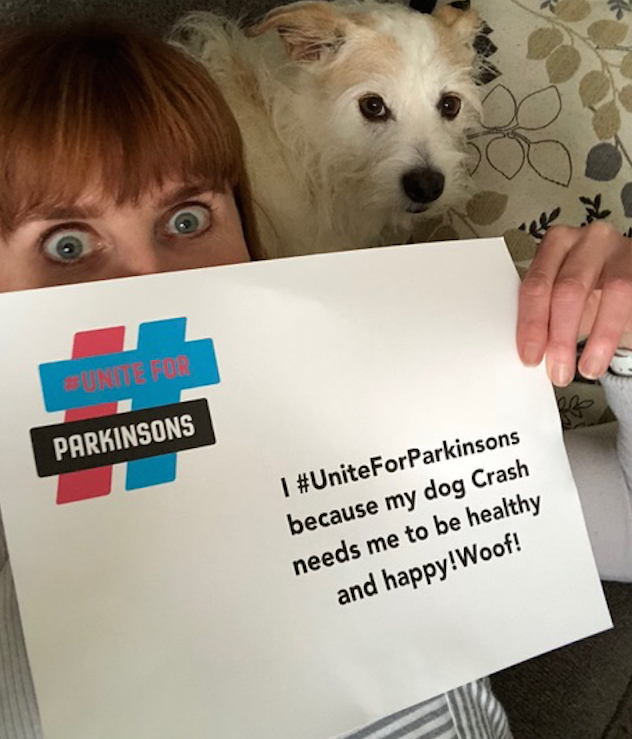 She says: “I #UniteForParkinsons because my dog Crash needs me to be healthy and happy! Woof!”. Tol Larmour is a drummer from Cumbria, UK who has co-written an ‘anthem for Parkinson’s’. 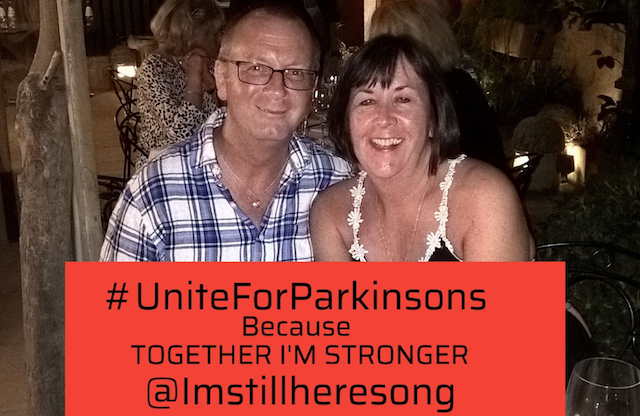 He says: “I #UniteForParkinsons because together I’m stronger”. Inspired by her father’s battle with Parkinson’s, design engineer Lise Pape founded the Parkinson’s innovation company Walk With Path and developed ‘Path Finder’ – a shoe that projects laser lines to trigger walking, which prevents freezing of gait. She writes that she is joining the campaign: “because we all deserve a bright future”. Andrew Johnson is a singer/songwriter who has released a Parkinson’s-themed album with the band Affinity Formation. He simply says: “Fix us (please)”. Elisabeth Ildal is one of the World Parkinson Congress 2019 bloggers and lives in Denmark. She cycles to keep her Parkinson’s symptoms at bay. 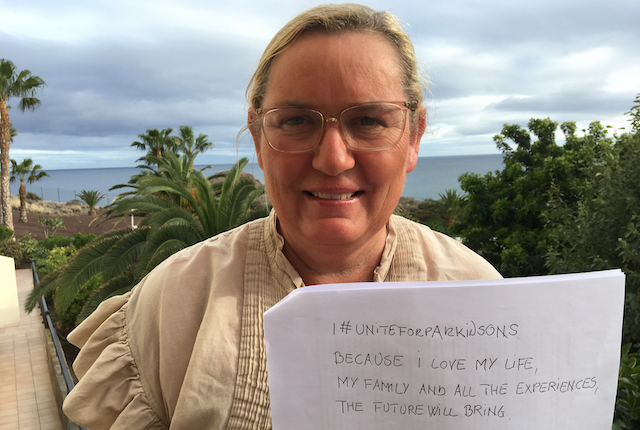 She writes: “I #UniteForParkinsons because I love my life, my family and all the experiences the future will bring”. American blogger Kirk Hall is a self-styled “grandpa with rapier intellect, wry sense of humour, overactive imagination and mild cognitive impairment”. 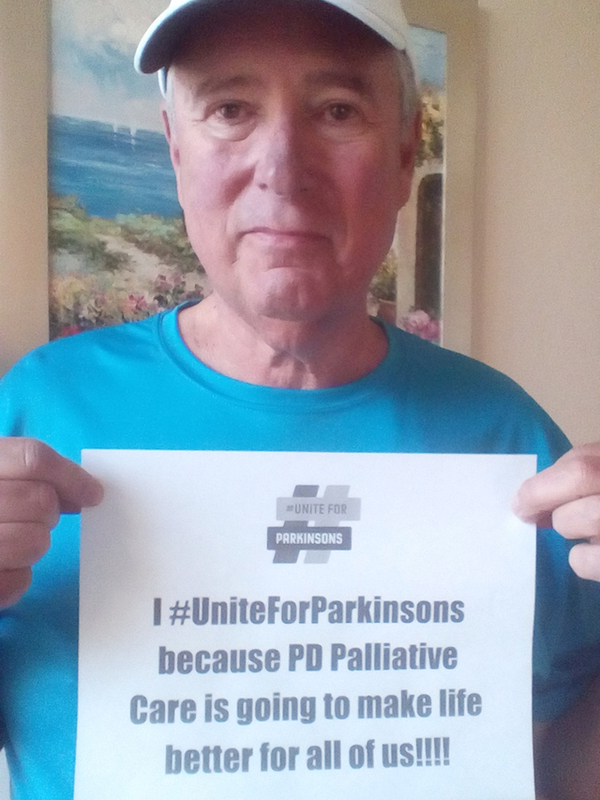 He says: “I #UniteForParkinsons because PD palliative care is going to make life better for all of us!!!”. Japanese World Parkinson Congress 2019 blogger Tamami Nose feels that her “world has been expanded” since her Parkinson’s diagnosis. 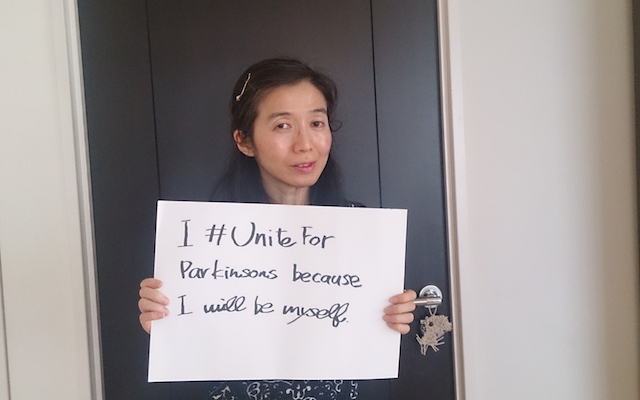 She says: “I #UniteForParkinsons because I will be myself”.